I love you when you bow in your mosque, kneel in your temple, pray in your church. For you and I are [daughters] of one religion, and it is the spirit. I ♥ a lot of different things, as you know. 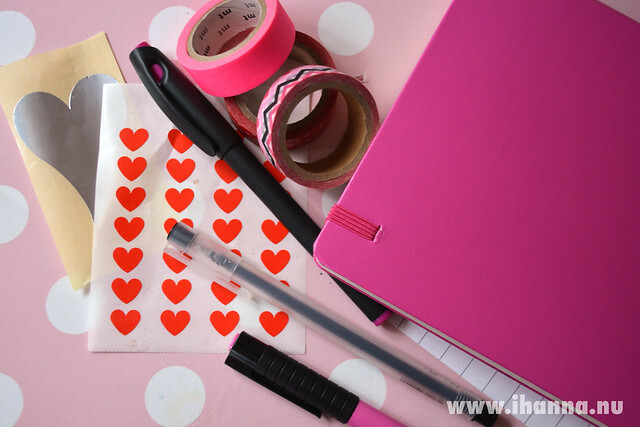 Recently I’ve wrote a I Heart This-List in my Leuchtturm notebook, my current diary. The prompt is: Write a list where each line starts with the words: “I ♥…” and then complete that sentence until the page is full. Do it now! I could write page after page of this kind of list, going broad or closing in on details. 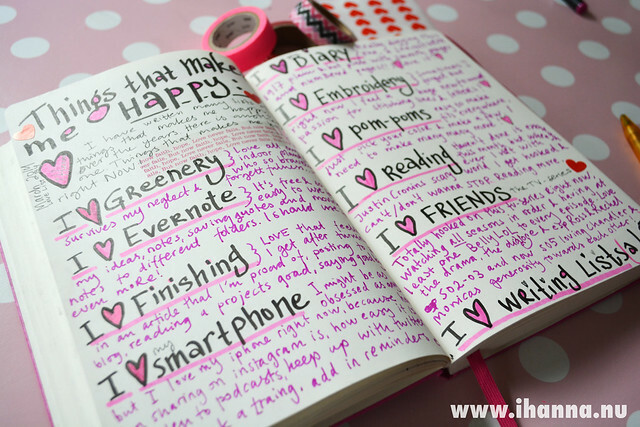 I mean, the things I love about blogging (or writing, or photographing, or my friends, or the island of Gotland, or…) could fill a few pages… I also ♥ my pink diary, smooth pages and all. 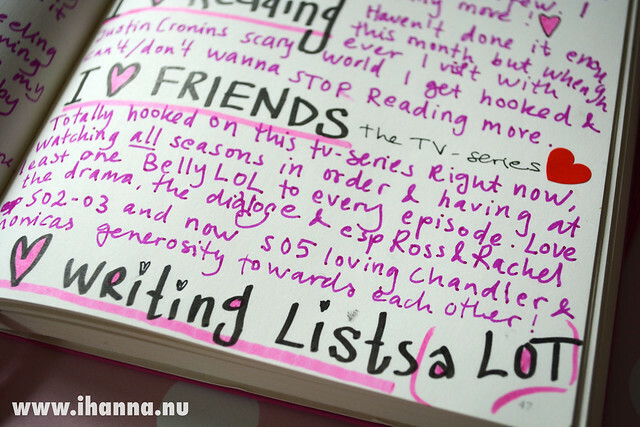 And I really ♥ list writing! And I ♥ flower doodled borders. One could say I’m obsessed with them… they grow out of my fingers when ever I sit down with a pen, and soon maybe they’ll be coming out of my ears too. Let me know what’s on your love-list right now. This entry was posted in I write Lists, Notebooks and tagged diary, diary writing, doodles, fill a notebook, I like, journaling, love letter, prompt, thankfulness. Bookmark the permalink. I love olives, swimming pools with long slides, sunflowers, cat paw pads, and singing silly songs. Among many other things. Since you asked. I ♥ your heart-list Claudia, I could sign under all of those too. Good things, indeed! i love blogs….have been discovering so many great ones lately! i love podcasts too for the same reason; they are so oftentimes ordinary people getting their voices heard without a filter! also love sunny days, biking, toast, reading, coffee. Thanks Meghan for sharing your lovely lists, I’m so into blogs & podcasts as you already know. I’m considering writing a list of my favorite podcasts soon, we’ll see if I get to it now that summer is in full bloom. I ♥ sunny days too! What a lovely list you’ve made! I heart polka dots, peonies, purring cats, new books, sunshine through green leaves, eating strawberries, friends who tell funny stories and many more big and small pleasures. Here’s wishing you many more “hearts” this summer. I love list-making, too! And I love this spread in your journal with its bold lettering and pretty pink and blank contrast. I love that I’m taking time to look at blogs again…I’ve missed seeing everyone’s creative lives in action! I love that a new season is soon upon us. I love new beginnings. I love new ideas and new action! I  discovering new blogs…and yours is a new favorite. I used to journal, but have gotten “too busy”. Not any more! You have inspired me. 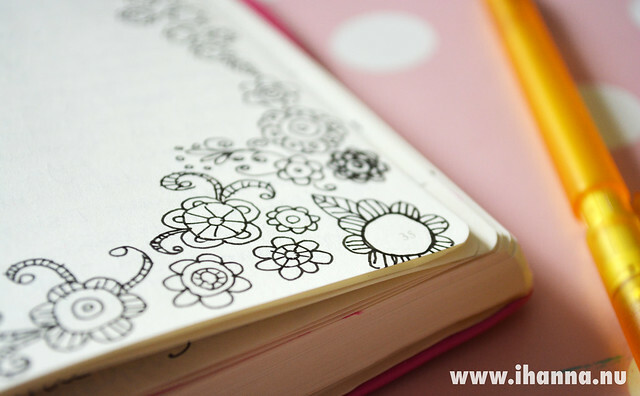 I will start a new book with my first page being “I  …” I love the idea of doodling as well as words, maybe that’s what excites me so much. 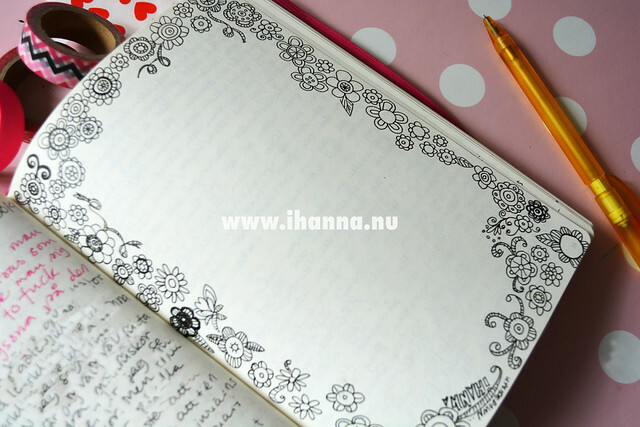 I have journals of words (just words), but no favorite quotes or drawings. Thanks for the inspiration!